How to get Google AdSense Account Approval? This was once a very big issue but lately Google AdSense had closed down a lot of its member’s accounts which were wasting their time and not earning as much as they should have had. Wasting time does not mean earning less, but it means using derogatory means to earn the few dollars they were earning. People need to know what Google AdSense wants from its publishers and how they can achieve that goal. I’ve written an article which covers a lot of Google AdSense requirements but in this one I will detail a few requirements that will enhance your chances of getting an account. Google AdSense is a contextual advertising based company. Google AdSense is concerned about a lot of stuff. Their team looks for a lot of rules before approving it. But here I will tell you few pointers that will give you a better website at the end. Google AdSense is concerned about theme design which should be user friendly. I recommend using a responsive theme for your website. If it’s a blogger blog, it will surely support a lot of default responsive themes. If you intend to get an outside theme, either it’s cracked or free, it doesn't matter. 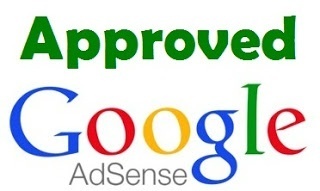 Google AdSense approval depends on how much user friendly your website is overall and where are you placing ads on it. Google AdSense doesn’t like their ads place on pop-ups and other derivatives which show ads. help new users feel that they can trust this site. Also it develops your website to become something better. Content rich is the word that people use for a long article. Your article should in theory be long and supports the topic and title with accurate facts and figures. Also unique articles will get you help with your website’s SEO. Writing unique content is the very reason so many blogs exist. Unique content helps drive traffic and hence revenue. Duplicate content is not a big issue as far as google indexing or a website’s SEO is concerned. However Google AdSense takes this fairly seriously. Having duplicate content means you were unable to produce good quality content on your own and relied on plagiarism for authority. Since the content is not original, it is a good chance that you will get website traffic from different means too which are somewhat frowned upon by Google AdSense. Original content helps drives viewers and sales. Copying content can even get an approved Google AdSense account revoked.